Detailed on the official YouTube blog earlier this week, Google software engineer Ullas Gargi announced a new feature that combines the viral nature of YouTube videos with interaction among friends within Google+ Hangouts. 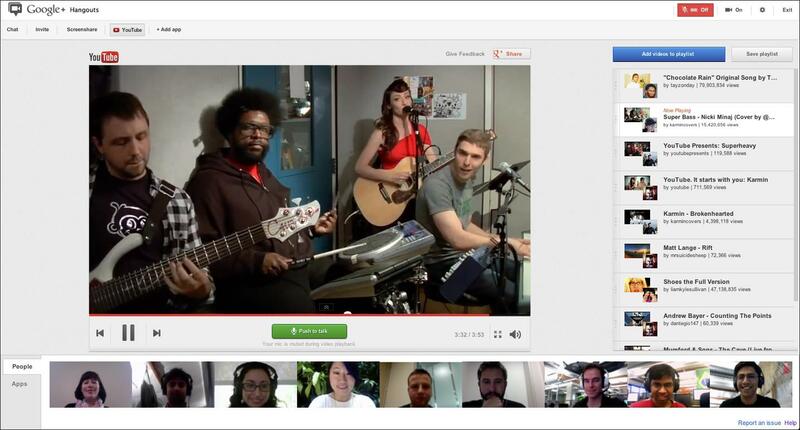 A new application within Hangouts allows Google+ users to queue up YouTube videos and allow everyone in the Hangout session to watch the video at the same time. Friends can watch reactions and everyone can provide commentary about the video while it’s playing. The new YouTube application also allows the members of the Google+ Hangout session to queue up more videos to watch as well as save a playlist to share with friends that don’t have a Google+ profile as of yet. 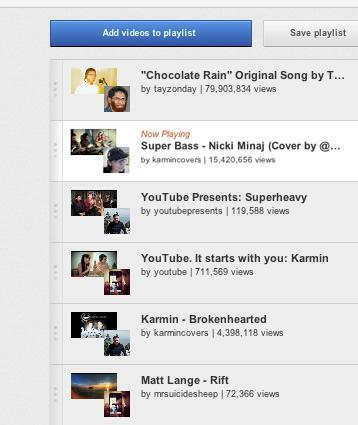 To enable the feature, users join up in a Hangout session and load the YouTube application found at the top of the screen. Using the built-in search function in the application, users can locate videos to add to the queue or remove videos that are of poor quality. All users have the ability to skip between different videos as well as dish out insults to anyone that plays a boring, lame video by using the green “Push to talk” button underneath the wide video screen. Beyond the playlist feature for saving to a personal YouTube account, members of the Hangout session can immediately share any YouTube video on their personal Google+ feed. 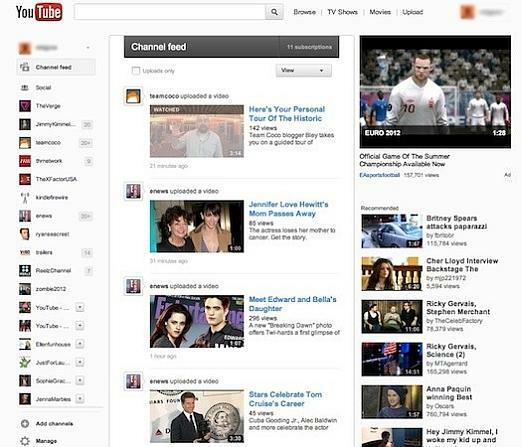 While the YouTube application is currently limited to Google+ Hangouts, a Tumblr user noted a change in the look of YouTube earlier this week that shifts the site design into Google+ territory. It appears that Google is currently beta testing a new design with a select number of accounts specifically on the home page as well as the subscription manager page. As noted in the screenshots, Google is attempting to bring more focus to social sharing as well as the channel feed along the middle column of the page. The redesigned feed features larger thumbnails of the videos and Google has included a feature video spot at the top of the right column. Content producers that push a large amount of video through their YouTube channel should appreciate the stronger focus on sharing videos.